Consultancy, production and executive preparation of projects and events. Coordination and organization of phases and sectors: artistic, logistical, technical, security, first intervention, production, post-production, editing, format. Production, creation and conception of docufilms, biopics and tv and web formats. Innovation and adaptation between tradition and new technologies. Music is the vehicle of communication to express emotions, feelings, social stories with the precise aim of involving the sensitivity of people. 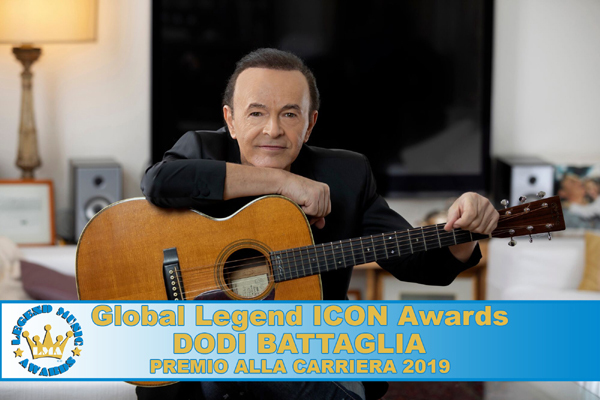 Dodi Battaglia receives the Legend ICON Awards and becomes an honorary member of the Global Legend of Fame for his career and social commitment. Legend ICON Awards. 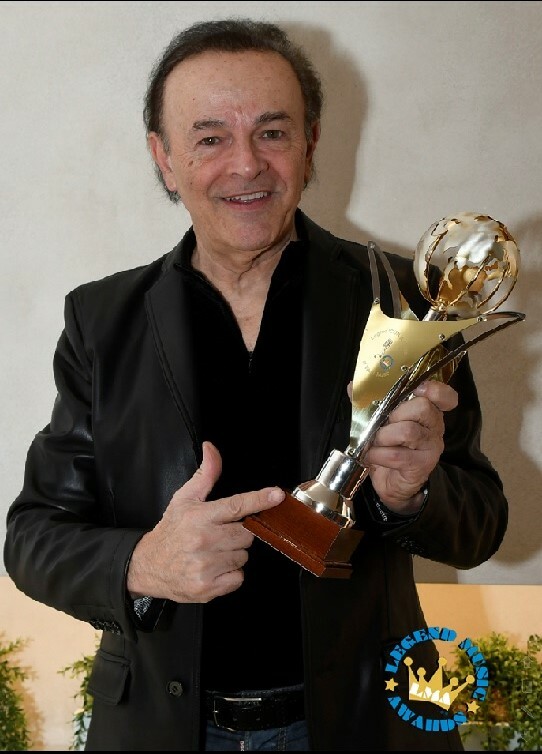 Dodi Battaglia at Global Legend of Fame 2019. Career Award. © All rights reserved to Legend Music Awards. Prestigious artists, an important award and an absolutely innovative format. This is the proposal of Legend Music Awards Org., in close collaboration with the executive production and artistic consultancy of Jam Music Prod. Int., a company active in the realization of large multimedia events. Legend Music Awards is an International Arts and Entertainment Award in the fields of Music, Cinema and Publishing, now in its third year after awarding the likes of Michael Jackson and Laura Pausini in previous editions. Legend Music Awards is a recognition to the career, without territorial boundaries, which intends to celebrate Italian and international artists whose work embraces at least 20 years of career or whose sales have reached at least 40 million records, and will be awarded to those artists who, in addition to these characteristics, have also distinguished themselves for important humanitarian acts. Registration is scheduled for February 2019! Special with new and exclusive content! Stay tuned and we will update you on the airing. All rights reserved to Legend Music Awards. Video courtesy personal private rec. esclusive released by Dodi Battaglia. © Legend Music Awards Org. / PressOffice LMA / Excecutive Production Jam Music Prod. Int. Ready to enter a new Era of art and entertainment? We are waiting for you for this great adventure! Your idols within a click! All rights reserved to Legend Music Awards. video courtesy created by Jonny Polotto/LMA. Start of the new season of the Legend Music Awards' innovative format! Categories and topics covered: Entertainment, world awards, reality life, concept, TV series, streaming and ITech. Frequency: Monthly with time limit (each video will have 3 weeks of airing)! Format: TV series with episodes and seasons! Concept: Innovative, exclusive and unpublished content! To find out more visit our website www.legendmusicawards.org and follow us on our official social pages. Greetings to all the fans of Dodi Battaglia! We are pleased to announce that Dodi has been selected to receive our Career Award! The format of our spectacular and innovative awarding ceremony aims to be an engaging experience both for the award-winning artist and the audience! During the award ceremony there will be a space entirely dedicated to Dodi's fans. Here are the rules of the contest that we have created especially for you! Here is how you can enter the contest. 2. What are the questions you would like to ask Dodi? Send us up to three questions through our chat - you can find the “Send a message” button on our page, top right - within 14 days from today (CONTEST DEADLINE 31st January 2019). 3. A recommendation: originality! The more the questions will be curious and interesting, the more they will be able to be selected. 4. The selected questions will be submitted to Dodi and will be answered in the special television format and streaming dedicated to him.